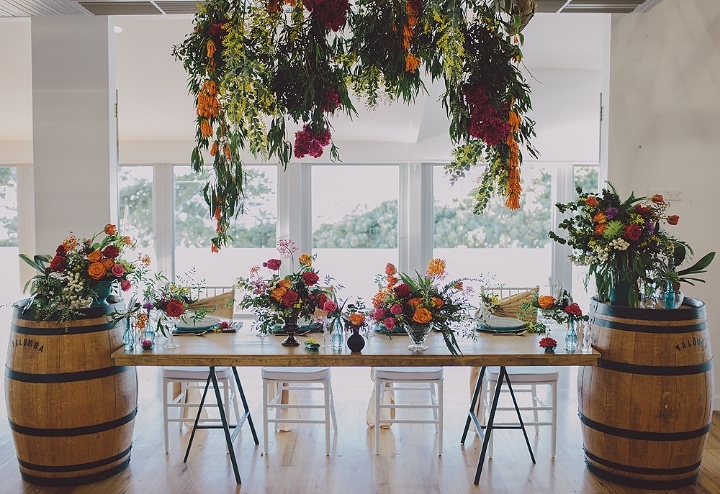 Our top 5 Gold Coast Wedding Venues To Check Out! Choosing a wedding venue is usually the very first step of your wedding planning process and is a huge decision. This is the place where some of the happiest memories of your life will be created, so it's important to choose a venue that you fall in love with! Here on the sunny Gold Coast we are spoilt for choice when it comes to beautiful and cost effective venues - whether you are dreaming of a beachside setting or a hinterland getaway. Being based on the Tweed Coast we are lucky enough to work at some pretty special local venues on a weekly basis, and we love seeing how our furniture ties in to each different location. If you are still on the hunt for your dream wedding venue, here are our top 5 Gold Coast and Tweed Coast wedding venues to check out. Osteria is the perfect blank canvas. This amazing venue consists of a picturesque outdoor garden for ceremony and cocktail hour, along with a private industrial style hall for receptions. Located just a few streets away from beautiful Casuarina beach, there is definitely a relaxed and coastal feeling about this venue that makes it so inviting. Not to mention the incredible food, designed for sharing amongst guests. We love seeing our cocktail furniture used in the manicured garden of Osteria - particularly our sofa furniture, wine barrels, stools and umbrellas. If you are looking for a venue with a breathtaking view, Summergrove Estate is the perfect location. This beautiful venue is tucked away in the hinterlands, making it a private and intimate space for your big day. The incredible ceremony backdrop has panoramic ocean and mountain views, and you have an option of either an cosy indoor reception or an outdoor reception under the stars. We love working with the super friendly staff at Summergrove and seeing our range of furniture in the space, like our reception chairs and dry bars as well as rugs and cushions. Madura Tea Estates is an incredibly unique location for a wedding - the venue is a working tea plantation, with over 250,000 tea bushes, sprawling lawns and a private dam creating the most picturesque backdrop for your day. With over 50 acres of complete privacy, there is ample space for a garden ceremony and an outdoor reception, or an indoor reception in the purpose built wedding warehouse. We love using light and fresh furniture at this venue - If you want some assistance with piecing together some decor ideas, you can contact us for a free consultation. Another venue with absolutely breathtaking views, Kirra Hill Community Centre is a unique and versatile space on the Southern end of the Gold Coast. With ample grassed space overlooking an ocean backdrop, this venue is perfect for a clear marquee, or a tipi tent for the more bohemian brides. For an indoor reception you can utilise the Great Hall, the perfect blank canvas with exposed rafters, VJ panelled walls and timber flooring. The convenient Coolangatta location of the Community Centre is also super close to accommodation for your guests. We love seeing this space transformed with an abundance of festoon lighting, along with our wooden dining tables and reception chairs. After spending years in the industry working onsite at countless weddings and events, our friendly team here at Hampton Event Hire have extensive knowledge of Gold Coast and Tweed wedding venues and can help put together a cohesive furniture plan for you that will complement your chosen location. You can get in touch with us here! 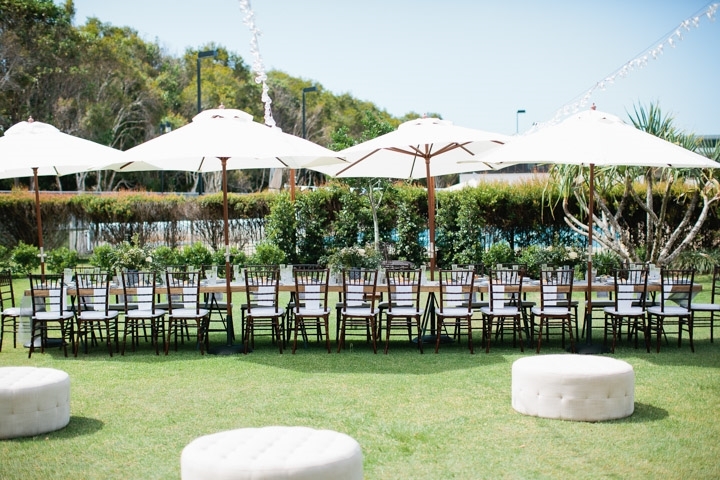 Top 5 Reasons Why You Should Hire Tables And Chairs Early For Your Wedding!